We decided to develop a new type of cleaning tool to give you the peace of mind that once your data is gone, it is gone for good. We believe that PrivaZer should be accessible to all to preserve freedom and security. 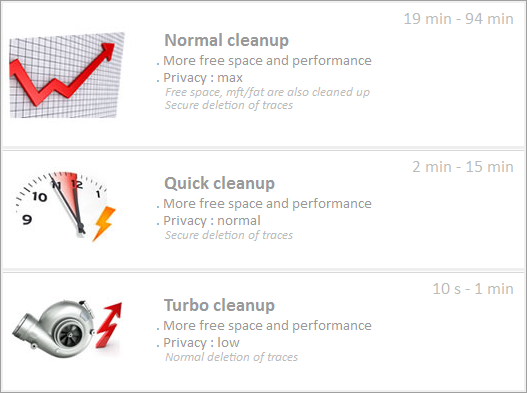 That’s the reason why PrivaZer is a free PC cleaner. Following my initial encounter with PrivaZer some 12 months ago, I was instantly impressed with the (then) relatively new cleaning and privacy freeware, and published an article describing PrivaZer here: PrivaZer: PC cleanup & privacy tool. If you are new to PrivaZer, I advise reading through that older article first. Although my initial review of this powerful, secure cleaning tool was largely positive, I did include a couple of caveats due to the newness and unproven state of the software at that time. Now, almost 12 months to the day later, PrivaZer 2 has been released and I have been utilizing the software all throughout that time with absolutely zero problems or issues. The biggest change is a new dual interface option which distinguishes between “Basic” and “Advanced” users. **Note the option in the bottom right hand corner to automatically create a System Restore Point prior to cleaning, this is a prudent and responsible inclusion which I strongly advise all users take advantage of. As an added precaution, those users who are going to utilize PrivaZer’s registry cleaning component should also enable the option to “Save Registry”. PivaZer 2 commences as per previous versions, offering a series of questions with basic Yes or No answers and accompanied by a brief explanation and recommendation. Those initial choices are then saved to an ‘ini’ file and will be utilized for subsequent runs, unless the user chooses otherwise. It had been only about 6 weeks since I last cleaned my Windows 7 system when I put PrivaZer 2 through its paces, yet it still managed to free up a little over 2.8GB of additional space. The “Install” and Portable” options will both save results from the initial ‘Q and A’ in an ini file for future reference. If you opt for the middle option, “Run PrivaZer without installation”, the software will perform all its chores as per normal but you’ll need to go through the initial ‘Q and A’ again each time of running. PrivaZer is certainly powerful, thorough, and effective, but the all important question… is it safe? All I can say is; I’ve been using PrivaZer out of the box at default settings for more than 12 months now and never experienced any sort of issue. Plus, the PrivaZer software includes the requisite fail safes to help mitigate any risk, regardless of how minimal that risk might be. There will always be a certain amount of debate over whether these types of cleaning tools are truly useful or not. Registry cleaning aside, the experiences I’ve had with my clientele lead me to believe that they are well and truly worthwhile. And, if we are going to utilize cleaning software, it may as well be one of the very best… which, in my opinion, PrivaZer definitely is. Highly recommended. Would you consider this an alternative to CCleaner? How do they compare? Yes, absolutely Richard. CCleaner is a very good product but PrivaZer is the more comprehensive and effective of the two. 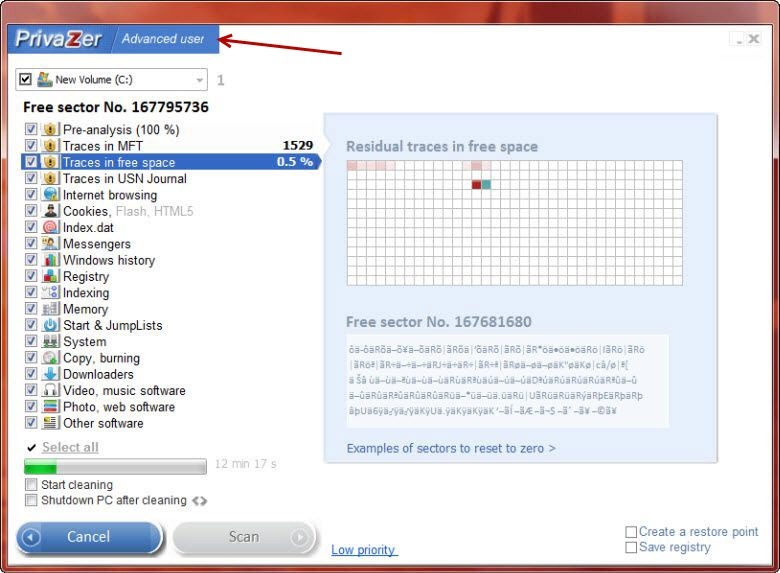 When I first looked into PrivaZer, CCleaner held the advantage of being tried and true. 12 months down the track and I believe that advantage no longer exists, PrivaZer is the better choice in my opinion. Not necessarily the better choice for everyone, but for more experienced users, yes. There are a couple of hard drive/system cleaners that I consider to be more effective than CCleaner, SlimCleaner being another. However, the solid reputation and following CCleaner has earned over the years makes it difficult to convince users that there may be better options. Publish an article about cleaning or cleaners and you’re almost certain to receive comments extolling the virtues of CCleaner. Chances are, most have never even tried any alternative. Tell you what, 6 weeks or so from now I’ll perform a head to head comparison between CCleaner and PrivaZer and publish the results in an article. Hey Bob – If you’d come back here after you’ve tried out PrivaZer and let us know your thoughts it would be very much appreciated. Sorry Jim, my post above referred to PC Advisor (UK), which I had just read, before going to Dave’s Computer Tips. Hence the error: I meant to write “Dave’s Computer Tips does a great Job” My apologies. At this early stage I notice a new stability in my Windows 7 Pro and a better sense of security. No problem Bob. And thanks for reporting back to us with your findings, much appreciated. The more aggressive a Windows cleaning tool is, the more likely it is to cause issues. People, if you don’t really know what you’re doing, try to select the more conservative options in the program settings or preferences. This is especially true when cleaning the registry. For many people, the chances are that they will be getting a new computer before the one they have now is in serious need of a PC operating system cleaning tool. For many people, the chances are that they will be getting a new computer before the one they have now is in serious need of a PC operating system cleaning tool. And that statement is based on what research exactly? After more than 15 years experience dealing with my clientele, which largely consists of your average home users, I would unequivocally refute that assertion. I have been using Privazer since day one, thanks to you. I use the programme regularly as I like to ‘check out’ interesting freebies and keep my computer as clean as possible. I rate this as a number one product in the maintenance toolbox. 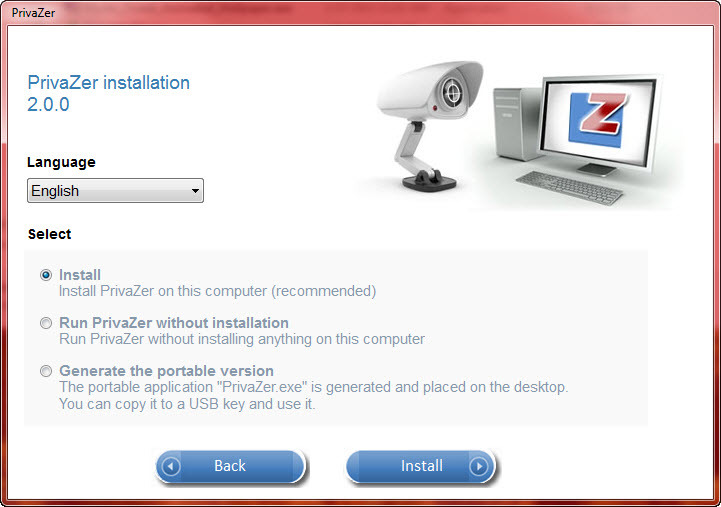 Hi Jim, I feel I must report on my use of PrivaZer again, as it is really a unique and quite extraordinary program. As I wrote in my post of 10 August 2013, my first scan of Windows 7 Pro released 210 MB of disk space, wiped clean, and cleaned 1750 MB of RAM. I encountered absolutely no problems. My Online Armor firewall and other security programs remained untouched: Avira Antivirus Premium (2013), Emsisoft Anti-Malware and Malwarebytes. True, CCleaner, for which I have a great regard, picked up some left-overs, as did Wise Disk Cleaner. Noting the excellent results of the Windows 7 scan, I installed PrivaZer on my ten year old XP Home SP3, and was amazed at the results: PrivaZer recovered 297 MB of disk space (wiped clean) and cleaned 1630 MB of RAM. Reading through the posts here, some folk had problems with Comodo Firewall. My Comodo Firewall on XP remained intact, as did my Avast (free) and MBAM. My XP encountered no problems whatsoever either. Again. stability and speed were dramatically improved. And again CCleaner found some left-overs. I have been using CCleaner on my old XP ever since it arrived on the scene. 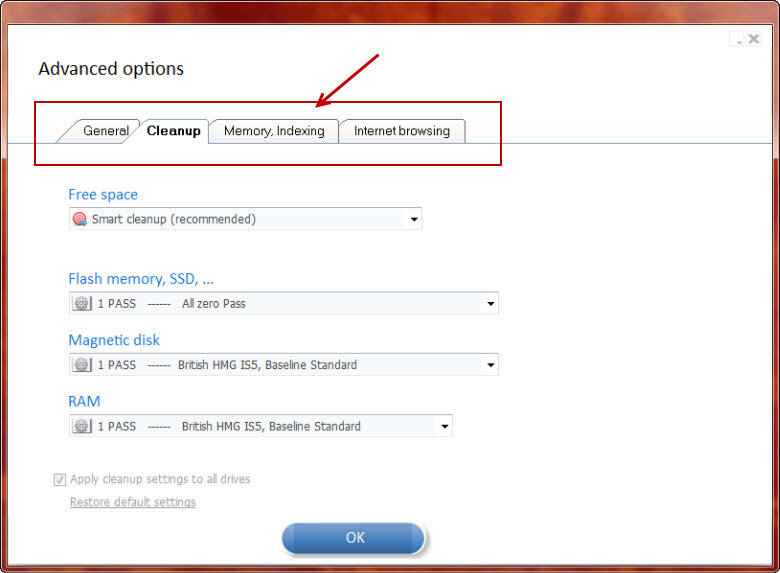 But, bear in mind that the junk CCleaner removes, does not wipe the disk clean, a big plus for PrivaZer. 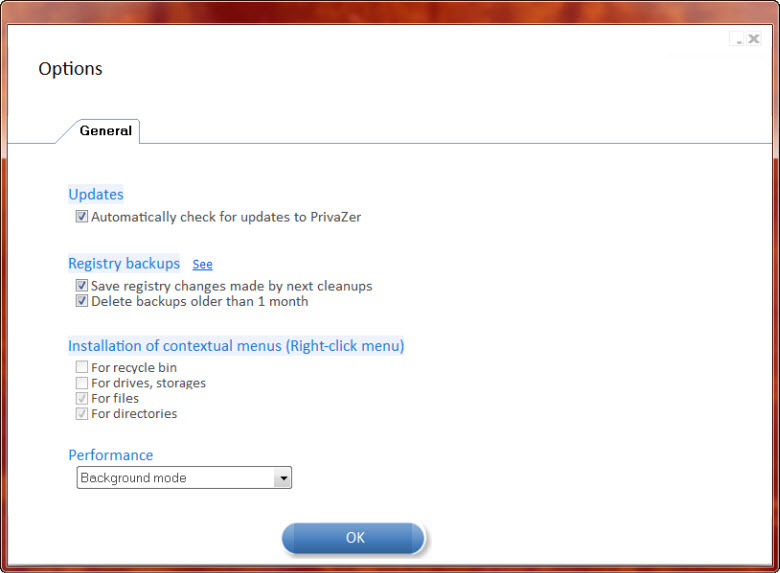 I have run PrivaZer daily on both my PC’s without any problems, each time regaining clean disk space. The first scan was slow on both machines, but all subsequent scans were reasonable fast, bearing in mind the extent of the PrivaZer scans. And not to be overlooked is the additional facility: “Clean my Internet traces in 1 click” at bottom right of the main page of PrivaZer. So, thanks again Jim for the top-class write up on PrivaZer. And yes, Australia is just over the road with the Internet! Best regards to you. Hi Bob – Thanks again for your input here, appreciated. I’ve performed a lot of tests comparing cleaning utilities and one thing I can tell you from experience; it doesn’t matter which one you use, if you then use a different one immediately after, the second one will generally always find a little bit more to clean. 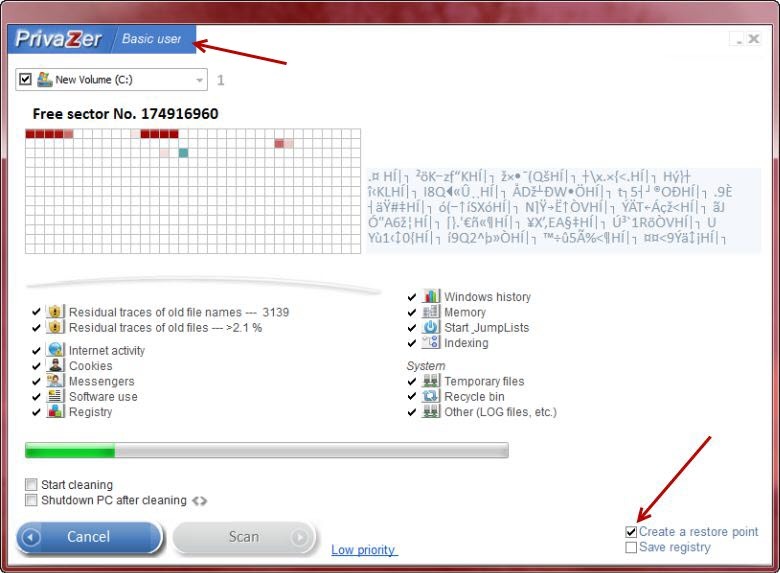 For example; if you reversed your scenario and used CCleaner (or Wise Disk cleaner) first and PrivaZer immediately after, PrivaZer would then find and clean more again. Advanced System Care vs PrivaZer — PirivaZer wins hands down… no contest. Besides, IObit (makers of Advanced System Care) is not a company I would trust and I certainly would not recommend their software. I recently installed the utility, though I was a little wary of such a powerful cleaning tool. However, on the first run it cleaned out 2.7GB of junk and I have experienced no detrimental side effects to my system whatsoever. A really useful tool indeed. Let me add some further praise for PrivaZer, with the apparently contrary comment that when I first tried it on Windows 8.1 Pro it didn’t work – just got so far through and then hung. I think it was when I was uninstalling it that I got to report this, probably through an exit questionnaire, thinking that was the last of it. To my astonishment, a little later I got an e-mail from the PrivaZer team asking for more information, and giving me a link to download a new version. Then they followed up the e-mail to ask how I was getting on. By this time I had installed 8.1 Enterprise Preview, so feeling a bit guilty I quickly downloaded and installed the latest version, 2.7. This time, nearly two hours into the scan and clean-up, PrivaZer hung again, not responding, but using over 60% of my CPU. So I e-mailed back and reported this, and got an almost immediate reply from the PrivaZer team leader. A few e-mails later, we had set up a TeamViewer session and were running PrivaZer again, this time both chatting and watching to see what happened. Needless to say, it ran faultlessly, and I had to apologise for the false alarm. But what a great response! Imagine Microsoft e-mailing to ask if they could have a look at what was going wrong on your PC, even after you’ve paid £200 for their software! Having said all that, while PrivaZer seems to be a great cleaner, I still reckon CCleaner is an excellent and slightly different tool, especially for disabling unwanted start-up programs and removing unnecessary context menu entries. Advanced System Care is different again, but also excellent – together with IObit Smart Defrag – for keeping a well-maintained system; I have never had any trouble with it, in fact CCleaner and ASC are the definitive system maintenance tools as far as I am concerned, and I have tried most of the others. Each of these has a different focus, and I’ll be using all three as needed. Hey JM – Appreciate your input. Nice to see it confirmed once again that, when it comes to supporting their product, the PrivaZer team is indeed top notch. Personally, I’d prefer to use the Windows native method for those subsidiary chores, such as managing startup. Either that or a dedicated software. I can certainly understand the affection for CCleaner but, as far as the primary function of cleaning goes, it really can’t compare to the outstanding PrivaZer. As for IObit software, I’ll be brief on that one… wouldn’t touch anything from IObit with a barge pole. Why have you got it in for IObit, Jim? Sounds as though they’ve done something awful to you. Do tell. Let’s just say they have been less than ethical in the past. Jim and I have already sided with MalwareBytes, but you can draw your own conclusions. Yes, as Dave said… historically, IObit’s ethics have proven to be at least highly questionable. IObit is based in China and while I admit they can produce some pretty decent software, they also churn out a fair amount of rubbish, IObit Malware Fighter just to name one… check out this independent review here: http://www.pcmag.com/article2/0,2817,2419549,00.asp. For me, selecting and/or recommending software is largely about trust, and I simply do not trust IObit one iota. Conversely, Piriform for example, producer of CCleaner, has an exemplary track record. I have used PrivaZer since it was first reviewed in the press and have followed its development. I have a rather ancient HP Pavilion laptop that developed the habit of showing CPU usage at 100% which made me think of replacing it. I ran a number of cleaning and spyware programs which gave no improvement. Then after running PrivaZer it now runs as well as when new. Very impressive program and organisation. Hi Geoff – Thanks for dropping by and sharing mate, appreciated. I have been trying to update privazer lately, but keep getting an SSL error when trying to connect. I am wondering if anyone else is having this problem or if it’s just me? I have attempted this from several different locations and computers each time, all resulting in the same problem. I am using Comodo Dragon 33.1 browser.